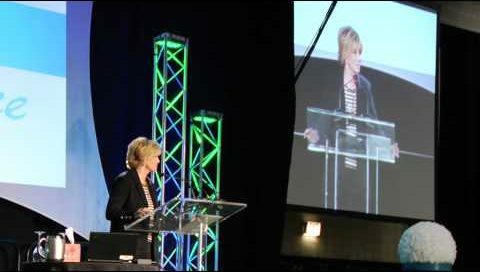 Joan is a sought after keynote speaker for a wide variety of organizations. In her refreshingly straightforward style, Joan shares the candid advice that has motivated her throughout her career, inspiring audiences to take charge of their health, their happiness, and their success. 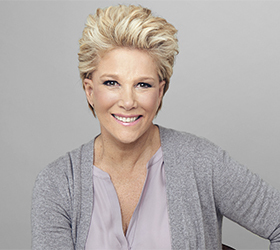 For over 3 decades, Joan Lunden has been a trusted voice in American homes and truly exemplifies today’s modern working woman. As the longest running host ever on early morning TV, Lunden greeted viewers every morning on Good Morning America for nearly twenty years. She reported from 26 countries, covered 5 presidents and 5 Olympics and provided insight to top issues for millions of Americans each day. Today, Lunden is an award-winning journalist, bestselling author, health and wellness advocate, motivational speaker, successful entrepreneur, and a mom of seven children. She continues to keep Americans up-to-date on how to care for their homes, their families and themselves. In June of 2014, Lunden was diagnosed with Triple-Negative Breast Cancer, which required chemotherapy, surgery, and radiation. Since then, she has shared her journey through cancer treatment with the world, becoming a prominent voice in the breast cancer community. An eternal optimist, Lunden decided to take her diagnosis and turn it into an opportunity to help demystify cancer treatment. Bringing her passions to life, Lunden founded and runs a women’s wellness retreat, Camp Reveille, where women come to relax, recharge, jump-start their fitness and learn how to improve their health, all while having fun in a Maine summer camp setting. From her real-life experience, Lunden has a strong passion for family and elder caregiving. She is the spokesperson for the nation’s leading senior referral service, A Place for Mom; and she recently co-authored a new edition of Chicken Soup for the Soul: Family Caregiving. Lunden has served as national spokesperson for various organizations such as The American Heart Association, Mothers Against Drunk Driving, The American Lung Association, The American Red Cross, The American Academy of Pediatrics, and The Colon Cancer Alliance. She speaks regularly around the country about health & wellness, parenting, success & balance in life, and more. One of the most visible women in America, Lunden has graced the covers of more than 40 magazines and book covers. Her books include Chicken Soup for the Soul: Family Caregiving; Growing Up Healthy: Protecting Your Child From Diseases Now Through Adulthood; Wake-Up Calls; A Bend in the Road is Not the End of the Road; Joan Lunden’s Healthy Living; Joan Lunden’s Healthy Cooking; Mother’s Minutes Your Newborn Baby; and Good Morning, I’m Joan Lunden. She also hosts the exercise video Workout America. Lunden Shares why she decided to go public with her breast cancer battle, what she learned, the breast cancer myths she discovered, and risk factors women need to know about. Lunden takes you through the hard decisions she had to make, and the silver linings she came across along the way. Lunden shares what she learned through her personal experience as a cancer patient and what she learned from the thousands of patients and survivors who reached out to her through her website and social media. Lunden tells of the fears a patient harbors, the hard decisions a patient has to make during the battle to save their life, the lies we all tell to our doctors, and the importance of screenings that can save people lives. 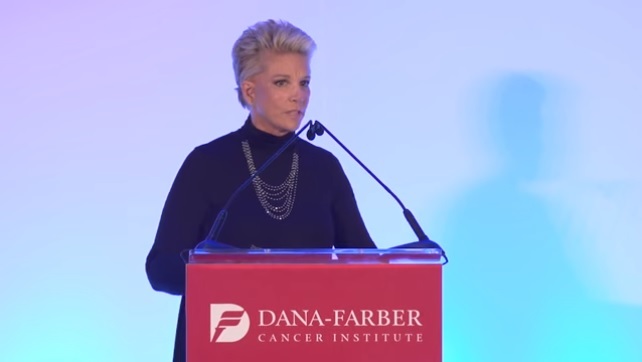 Joan shares how having a positive attitude, seeking out her best options, fighting like a warrior and expecting to win not only served her throughout her career, but also in her breast cancer battle. Joan speaks on how we need to reform the way we approach the management of our own health and how we interact with our doctors and medical institutions. Joan gives strategies on how to take charge of your health as well as be a better patient helping you to live healthier, happier, and longer. 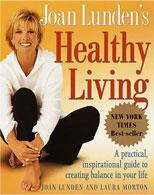 With three best-selling books on health: Healthy Cooking, Healthy Living and Growing up Healthy, Joan has become a leader in health & wellness and longevity. Joan is constantly asked how she remains so energetic, so “young,” and so vibrant while raising 7 children and maintaining a successful career. 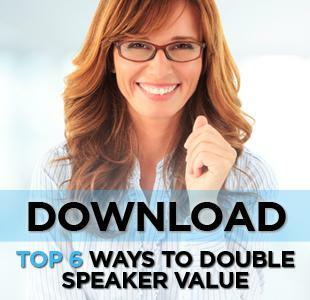 In this personal and motivational talk, Joan shares what she’s learned from her own experience, from the experts she’s interviewed, and how she stays at the top of her game. Lunden was 39 years old when realized she had many of the risk factors for cardio-vascular disease and needed to take charge of her health to protect her longevity. Lunden shares the importance of putting yourself and your health at the top of your to do list, and the changes she made to protect herself from heart disease and other chronic illnesses. Lunden shares the personal story of her brother who died from complications of diabetes, and how to be proactive and protect your health when it comes to this disease as well as other chronic illnesses. 1 in 3 American Children is overweight and childhood obesity is the number one health concern among parents today. Joan shares groundbreaking research on how diseases like hypertension, heart disease, cancer, osteoporosis, and diabetes—may begin in early childhood or infancy. Age expectancy in the 1930’s was 59.5, today people are living beyond 100. Now that people are living longer than ever before it’s time to redefine middle age. Being in your 50’s and 60’s today means still living a vibrant active lifestyle, and many “seniors” are delaying retirement. Taking care of your health has become essential in your ability to enjoy your golden years. Lunden shares how to age well, and how not only diet and exercise can keep you healthy, but how the relationships and social networks you have are equally important. Joan tells her personal story of how she took a passing suggestion to look for a job in news and went on to becoming host of Good Morning America for nearly two decades becoming the longest running female host ever on early morning television. Joan shares how the management of her reputation and ability to reinvent herself has allowed her a continued successful career following GMA. Having interviewed top business tycoons and a myriad of world leaders over her 3 decades as a journalist, Joan shares what she has learned throughout her career along with advice from the most successful people in the world and their common traits. Joan shares her personal journey of making it to the top of the tough television news business as well as how she reinvented herself launching her own business based on her focus in women’s health & wellness. As one of the most well known working moms in the country, Joan can also talk about balancing home and family: how to keep your family values while being a successful working woman. Lunden speaks frequently on the topics of motivation, inspiration and change. Leaving her seat on Good Morning America after two decades, Joan had to deal with reinventing herself in front of millions of Americans. Since then she has faced career and personal life hurdles, overcoming each with new strategies for dealing with life’s changes. Joan shares her personal story as well as giving advice on how to be flexible with what life throws your way while maintaining your sense of self. Joan shares how having a positive attitude, seeking out her best options, fighting like a warrior, and expecting to win lead to a successful and long lasting career. So much has changed for women over the past 50 years, especially for women in the workforce and in the home. Joan speaks on how women take on their new roles that they have fought for, while still juggling being a mother and managing family life. Joan includes her personal story of being one of the first women in America to bring her baby to work when she became the host of Good Morning America, setting a trend for corporations across the country. From her interviews with women’s activist Gloria Steinem to Betty Freidan on her social-changing book The Feminine Mystique to Gail Sheehy on the passages of women’s lives Joan goes from the history of women in the workforce to some of the new challenges women face holding down jobs today. 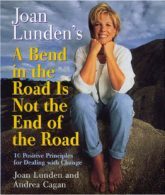 Lunden shares how much times have changed for women over the past 50 years, the obstacles they have had to overcome, and having experience in constantly reinventing herself and her career Joan gives advice on how to use reinvention as a tool for success. 66 million Americans are caregivers for someone they love, and that is 30% of the U.S. population. Some experts are predicting that figure will triple over the next decade. A longer life expectancy has led to an increased demand for family members to serve as caregivers. Being a part of the sandwich generation Joan had to take care of her aging mother while still raising two sets of young twins and managing her career. From this experience, Joan quickly launched a large portion of her career into the dedicated space of “caregiving.” It is without doubt this is the next health crisis facing our country. Joan shares her personal experience of caring for her 93-year-old mother while still working and raising young children. Joan shares what she has learned about how to be prepared for caregiving so you can avoid getting overwhelmed when a crisis happens. Now that people are living longer than ever before we need to change how we prepare for our second chapter – that includes preparing for retirement, caregiving, and aging. We are approaching a new world of aging and Joan shares how technology, health, family, society, and our financial preparation need to be looked at in a new way. Who would have thought in the mid 70s that people today would be able to watch the news on their cell phones. Lunden shares what media was like when film was still used and how today there are pros and cons to live streaming news. Although the “race to be first” has consumed the media, wireless technology today not only helps us stay connected with friends and business contacts, it connects us with the world.